Here's a doodle for you. Personal use only please. 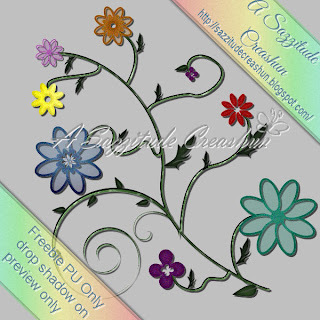 unless otherwise stated, all freebies will be in PNG format. Another item down and this time it's a tulip! i made this last night along with the preview. I got up this m to upload it for sharing and found I accidentally saved the preview over the file. UGH! Anyway, I didn't care for my bevel so I played a little more and I just love how it came out. It looks waaaay better than the preview. Don't believe me? Download and see for yourself! 600x600 tulip in png format. Please remember to send others to blog to download and leave some love either here on my blog or on my 4shared to let me know if you like it. it inspires me! I just finished up a lesson and figured I'd upload it to share with any who want it. 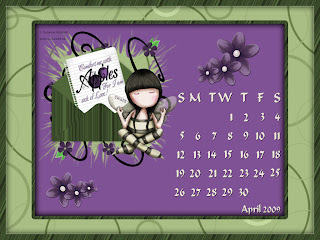 It's an April 2009 desktop calendar.it is 1024 x 780 pixels. If this is too large for you, drop me a line with your screen size and I'll get one whipped up just special for you. Simply click on the image for full sized and right click to save. 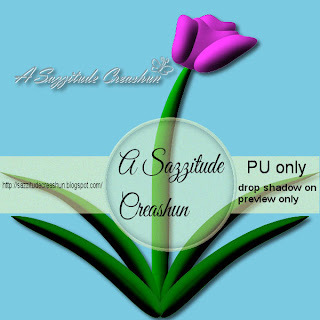 If sharing with others, please send them here to download. also, please keep file name intact.